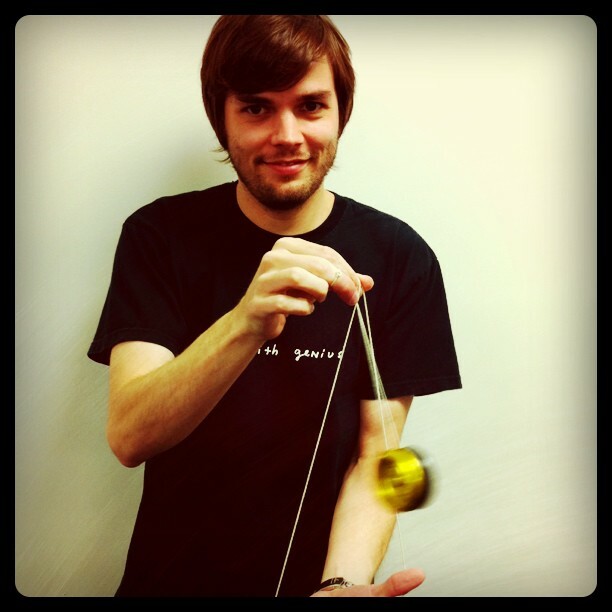 The People Who Make Voxox Rock: Magic, Yo-Yos and Mustangs... Oh My! What should people know about Voxox? "Voxox has some amazing and powerful calling features. There's lots of flexibility, which allows you to control your own calling experience. Call screening and personal assistant, all the free features, making inexpensive calls to mobiles and landlines around the world, the ability to SMS from your computer... the list goes on." How would you explain Software Development? "We take ideas and make them happen with our own twists and influence. The biggest challenge is to make sure what we build is maintainable, scalable, and stable." What did you do before you started developing? "Well, in high school and college I worked as a magician and Yo-Yo artist. I used to entertain at private parties until I began inventing my own magic tricks. Some of them eventually went to market for professionals and sold at magic shops. Since then, I've still held on to my Yo-Yo collection and I have about 200 Yo-Yos now. The rarest is a Pedro Flores, but my favorite is my Coca-Cola Duncan, Rainbow. Oh, did I mention I also opened the curtains for the Smothers' Brothers?" What are three things you can't live without? "Showers, sleeping, and... showers. That's where I do all my thinking. If I can't figure something out I go to sleep and take a shower. It's amazing what your brain can accomplish while it's sleeping." What's the last thing you ate? "In-N-Out. Double meat, grilled onion, ketchup and mustard 'instead'." What have you learned since joining the Voxox team? "I've learned a lot about Voice over IP technologies and managing teams. What I'm really into are learning new design patterns, software concept, ways of software architecture." Yo-Yo extraordinaire, assistant to the Smothers' Brothers, software architect... what else could "The Magician" have up his sleeve? Is he a sword swallower, too? Does he gamble on tic-tac-toe? If you have questions for "The Magician" or for our next Voxox rock star, post them here or on the Voxox Facebook page!